Pop Up Toilet | What Next? The pop up toilet is managed by attendants who are there twelve hours a day. The washrooms are closed when they aren’t there which means the toilets can’t be used twenty-four hours a day, which is unfortunate. I talked with the young man who was on duty the day I walked by and I chatted with him about the project. 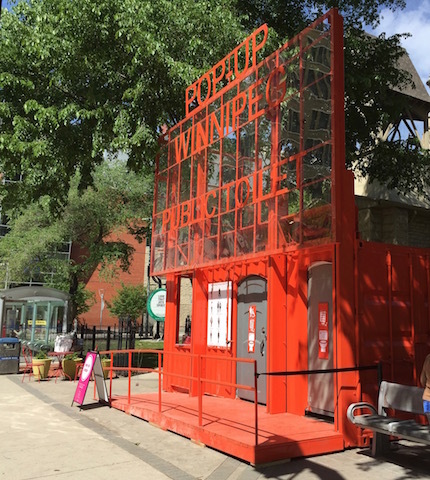 The kiosk beside the pop up toilet sells water bottles, cards and even T- shirts and all proceeds go to the work of Siloam Mission which offers beds, food and support to Winnipeg’s homeless citizens. I asked the attendant if I could just make a donation to Siloam Mission but he insisted I take a package of art cards when I gave him some cash. 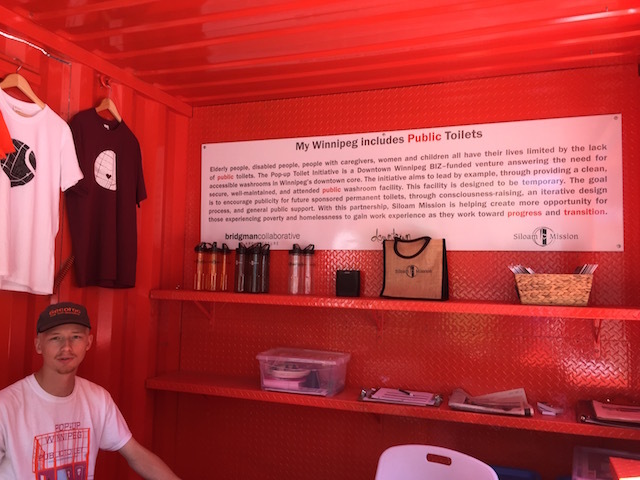 The sign in the kiosk said that the pop up toilet was created especially with the elderly, disabled, women and children and those with care attendants in mind, since they may struggle to find accessible toilets in the downtown. Downtown Biz is hoping to lead by example with this temporary facility so there will be public support for secure, well-maintained public permanent washrooms. 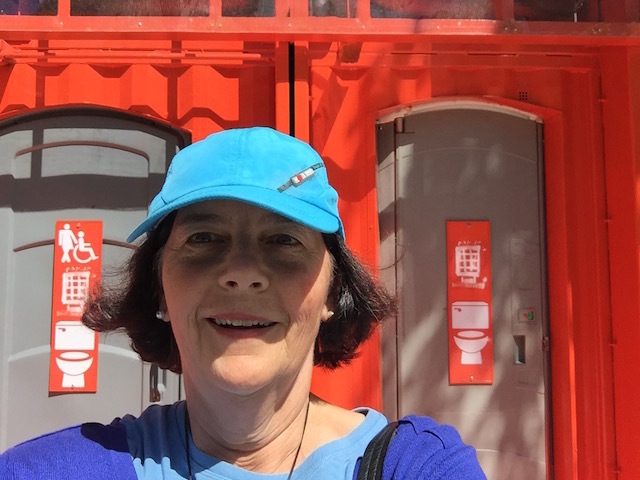 Working at the pop up toilet creates employment for people from Siloam Mission who want to gain work experience to help them transition out of homelessness and poverty. One of the reasons I like living and working in downtown Winnipeg is you never know what interesting things will pop up as you go about your day. It might even be a toilet!